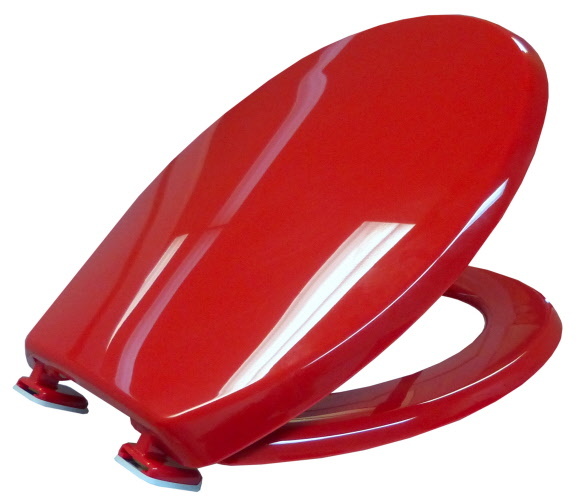 Tecnoplast seat, designed for universal pans in Commercial and Residential applications. Adjustable hinges provide a perfect fit by accounting for variances in standard pans. Stylish tuck-under design minimizes exposure of the hinge. Made from smooth and easy to clean thermoplastic. Adds contrast to the toilet for higher visibility.